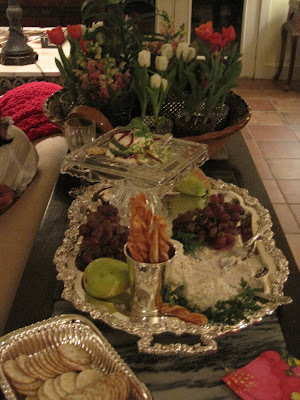 When having guest over, why not use the the silver tray and pretty dishes, they are not just for the holidays. They are some of my favorite things. I love pretty dishes.And who doesn't love a great hors d'oeuvre and wine with friends. 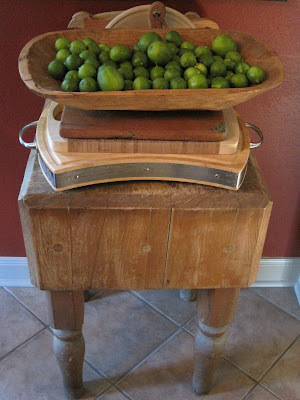 I have a thing for cutting boards, don't ask! 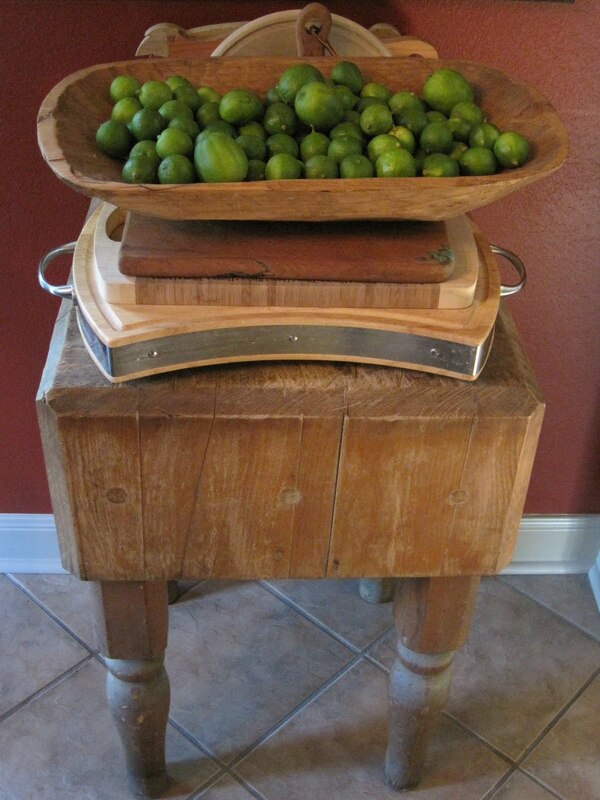 The bowl is full of key limes. It just looks fresh and ready for spring. 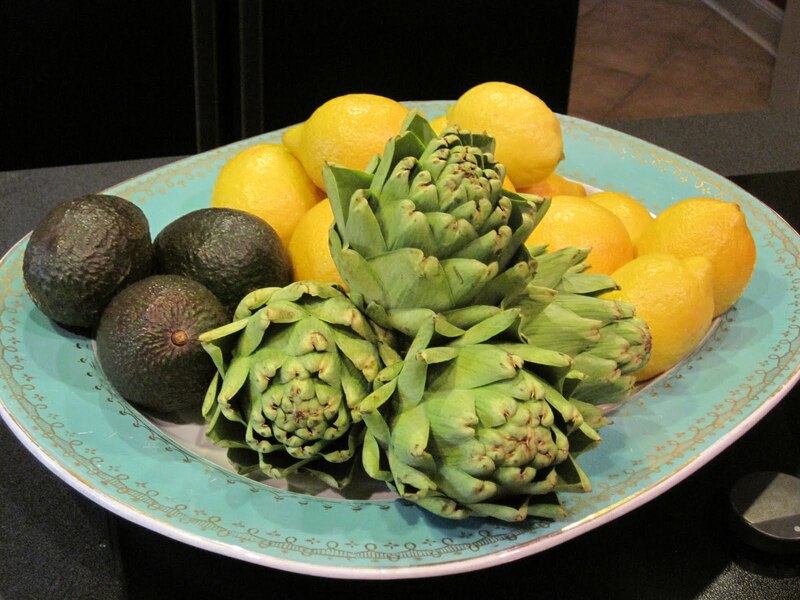 I love this plate, it's turquoise and I fill it will all kinds of things. Right now, lemons, artichokes, and avocados. 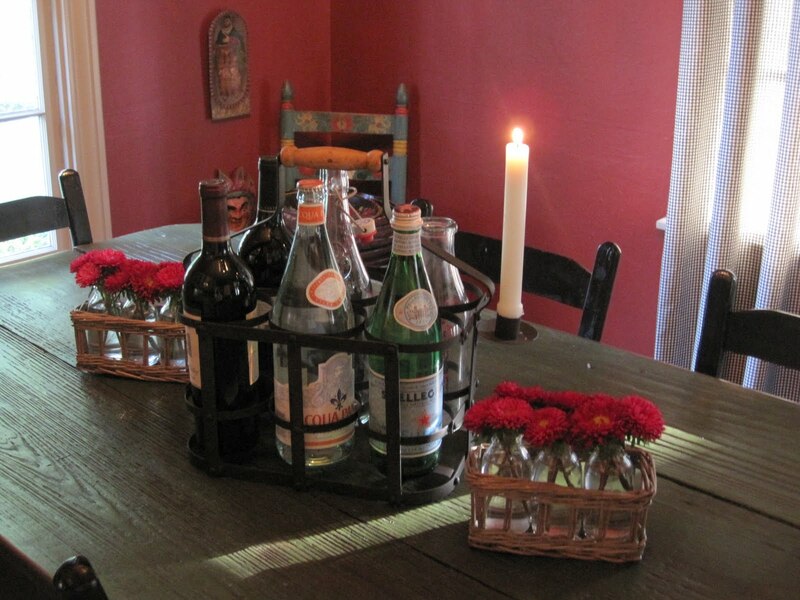 A great wire wine bottle carrier that also has a candlestick on one end. I fill it with wine, water, sometimes flowers, lemonade for the children, a variety of things. Plus on the table my current favorite little baskets for flowers. They are so sweet and any flowers look precious in them. 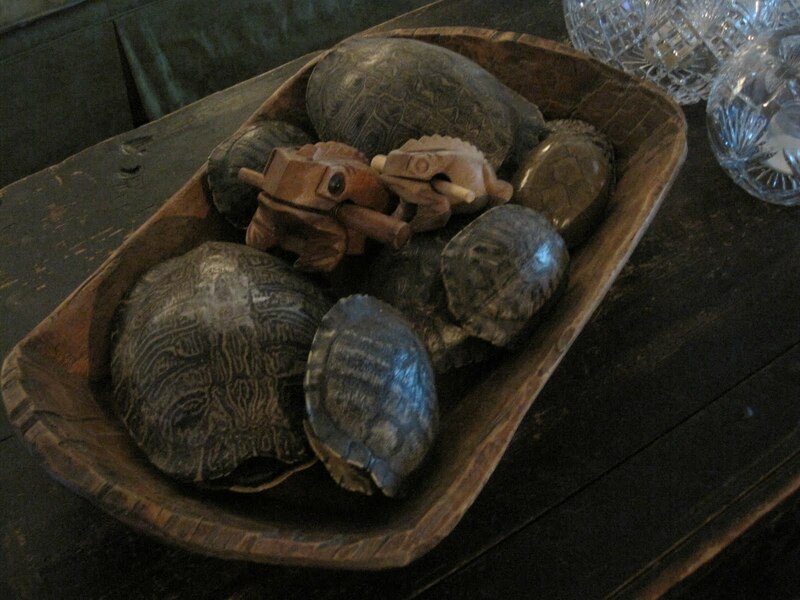 This is one of my different collections, a bowl full of turtle shells. Odd maybe, but I like them, and maybe they are really not that odd I can always find some at Round Top. The frogs are wonder boys favorite things in the whole house (at least that what he tells me). 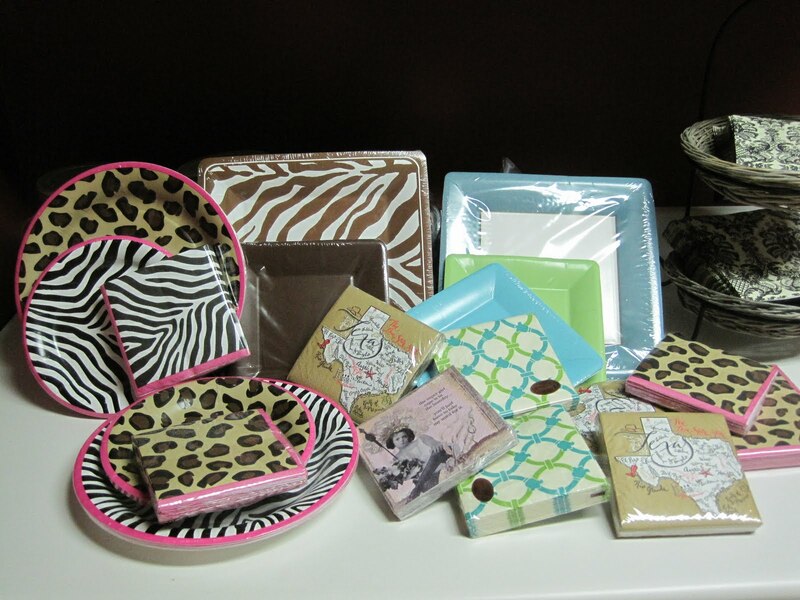 Put your favorite things or collections in a great bowl and they will look super. I also display family photos this way to. I ALWAYS keep adorable plates and napkins around for on the go. We do go to the barn to work with the horses and take snacks, or pool, you never know. This way I'm always prepared and we can eat out and about in style and fun. Why not! 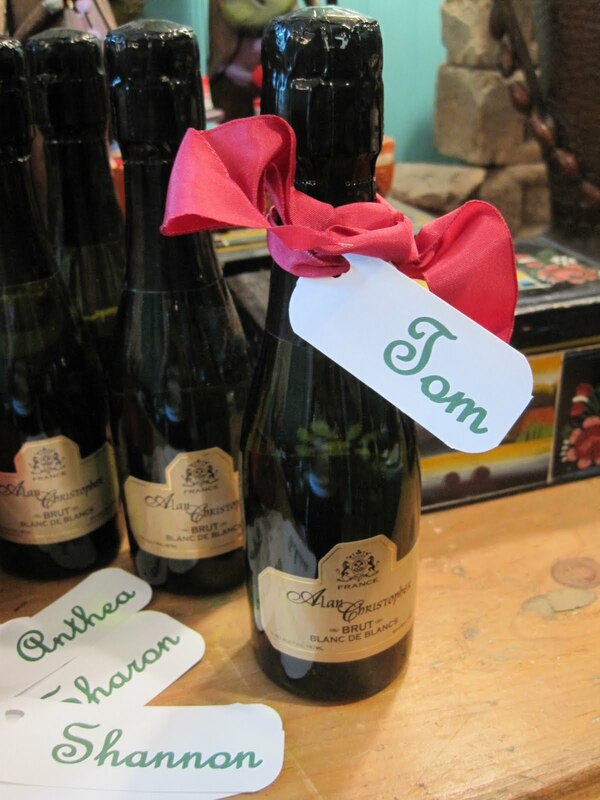 A great adult party favor, a small bottle of champagne. Make your own name tags (use card stock paper) and a corner rounder pick out a pretty ribbon and tie it all onto the bottle. The bottle then can be used as a place card for your dinner party and end the evening as a party favor as well. LOVE IT. Enjoy the post, just a few different things and ideas.